Aided by Emirates Airways and others the Unity Team chosen after the recent U 19 MURALI CUP played several cricket matches in Singapore and participated in several fundraising events for the FOUNDATION OF GOODNESS and its programme of reconcilition via sport. 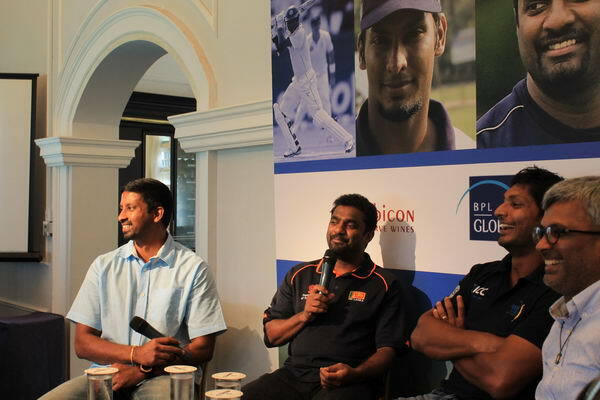 The presence of Kumar Sangakkara and Ravindra Pushpakumara as coaches and Russel Arnold as commentator and raconteur spiced and enhanced the programme. And then, of coure, was Murali the livewire — here there and everywhere. What better ambassadors for Lanka and for the paths of reconciliation: two Tamils, one mixed Sinhala-Tamil (Ravi) and two Sinhalese (Kumar and Kushil). FOG has committed itself to dividing the proceeds into two halves, with one half being committed to the enrichment of sport in the north and the other in the south. 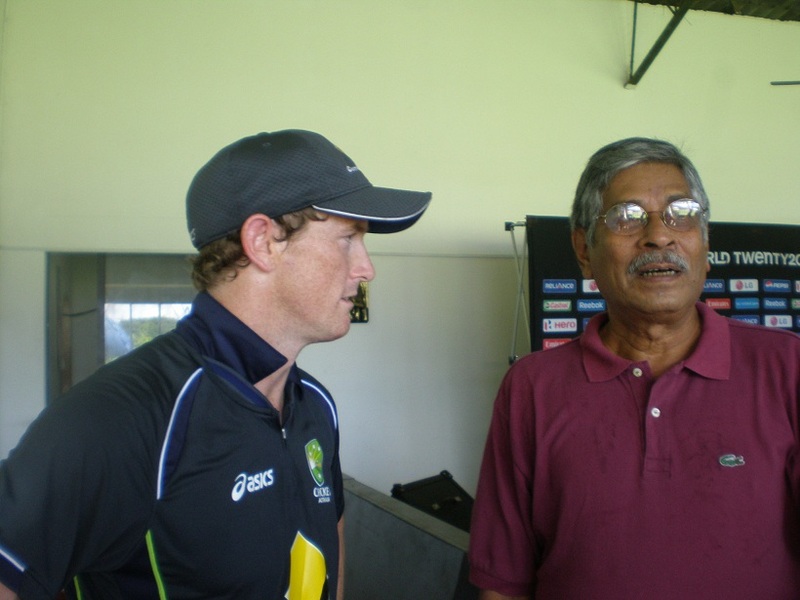 George Bailey with Tissa Abeywardena, Vice-President of the Colombo Colts Cricket Club, at a moment when Bailey came to the clubhouse afger a practice session to thank the Committee for the training facilities provided the Aussie T 20 squad during the World 20/20 tournament recently. They rated the grounds and the wickets highly. You are currently browsing the Critiquing Cricket blog archives for November, 2012.